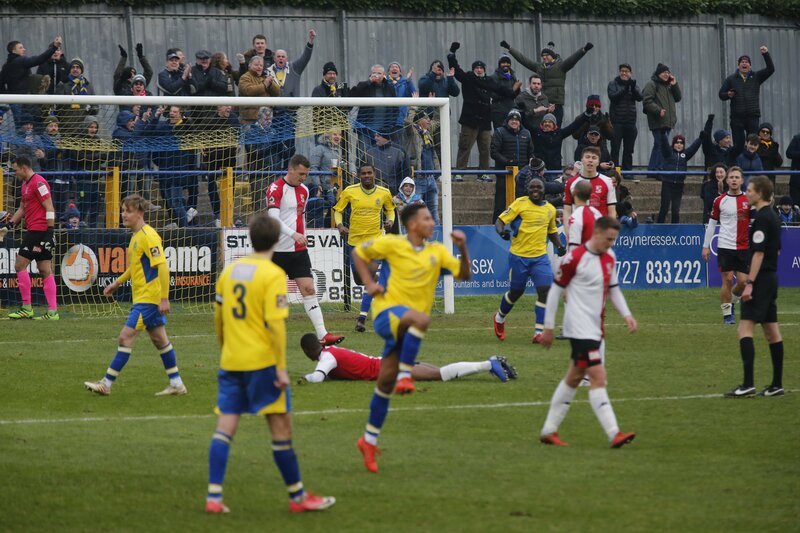 The Saints travel to South London on Saturday with the aim of keeping the pressure on the sides inside the play-offs. As a result of the recent poor weather the overflow car park at the Jezzards Beveree is closed and therefore there is NO parking available for supporters at the ground. We have been advised by Hampton that fans making the trip by car should park in local streets. For those travelling by train, the Shepperton Line service from Waterloo is running normally with a half hourly service to Hampton. Admission prices are adults £13, concessions £8, under 16’s £3 and free entry for under 5’s. The full address for the ground is Jezzards Beveree Stadium, Beaver Close, off Station Road, HAMPTON, TW12 2BX.